It’s always an exciting–yet nerve-wracking–moment of truth when months of research, writing and hard work end up at the one place where I have no more control—the printing press. 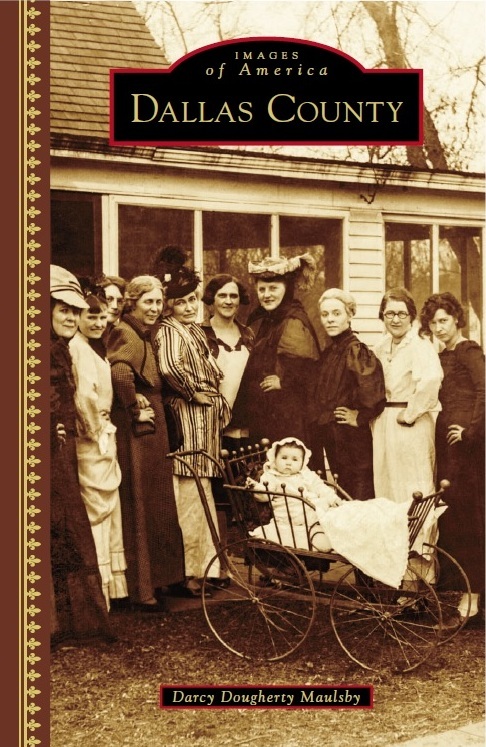 There’s no turning back now for “Dallas County,” my third non-fiction Iowa history book, which is being printed as we speak by Arcadia Publishing, which specializes in hyper-local history. Can’t wait to show you the final result around Sept. 4! 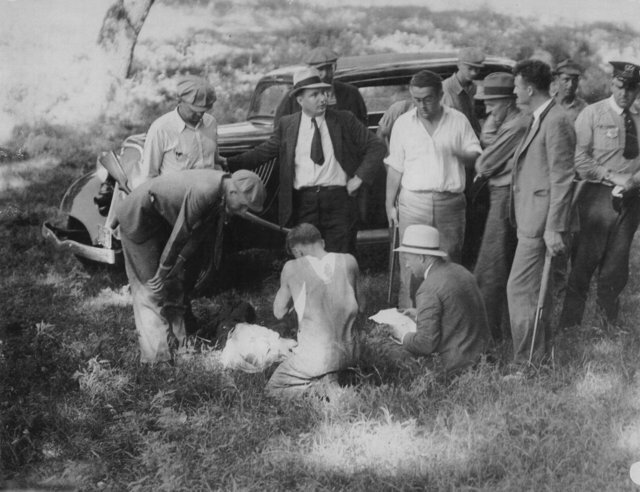 While Bonnie and Clyde escaped from the July 24, 1933, shootout with the law at the abandoned Dexfield amusement part north of Dexter, Clyde’s older brother, Buck, (shown here lying on the ground) was mortally wounded and died five days later at Kings Daughters Hospital in Perry. Buck’s wife, Blanche, was also captured at Dexfield. The big-time names that have had a brush with Dallas County history don’t stop there. Dallas County has produced several major-league baseball players (among them Bob Feller and Hal Manders), a US congressman (David Young), and Nile Kinnick, the 1939 Heisman Trophy winner and University of Iowa football legend whose grandfather George Clarke, of Adel, served as Iowa’s governor from 1913 to 1917. While digital technology swept the publishing world with the emergence of the ebook starting in 1999, inspiring some to proclaim the death of the printed book, ebook sales are plateauing. Sales of printed books are once again on the rise. Printed books aren’t the only part of this intriguing phenomenon. Vinyl records are enjoying a rebirth, as well. This trend toward the analogue, particularly among millennials, could reflect a desire to connect to simple, tangible, non-digital things in our fast-paced, high-tech world. Perhaps it’s more of a longing to be unplugged now and then and occasionally tuned out. Whatever it foretells, the news that printed books are back is welcome here! 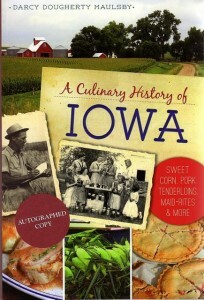 If you’re hungry for more stories of Iowa history, check out my top-selling “Culinary History of Iowa: Sweet Corn, Pork Tenderloins, Maid-Rites and More” book from The History Press, as well as my Calhoun County” book from Arcadia Publishing, which showcases the history of small-town and rural Iowa. Order your signed copies today! Vintage and rural Iowa postcards are available in my online store, too. Let’s stay in touch. I’m at darcy@darcymaulsby.com and yettergirl@yahoo.com.